Undisputedly the best hairdressers in Guildford. 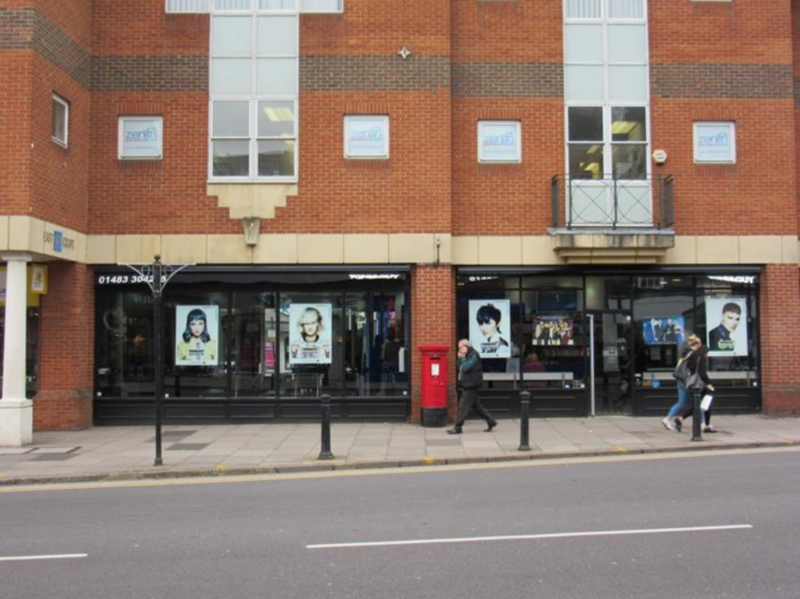 TONI&GUY opened in 1989, and since bursting onto the High Street of Guildford it has been a multi award winning salon. As the birthplace of many International Artistic Director we pride ourselves on the highest standards of hairdressing, providing a friendly and professional service. With a buzzing atmosphere our award winning team of talented hairdressers are on hand to offer every solution to your hairdressing needs, creating stylish and wearable hair. Amy is an excellent colourist. I’ve been a client with Tony & Guy Guildford for over 25 years. They did my wedding day hair. Excellent haircut & colour as always. Never disappointed with service. Not having been to a hairdressers for a few years, this salon made me feel really at ease. I felt great after the experience. Very pleased with hairdresser, haircut and advice on style prior to cut. Haven’t visited this salon previously for a while as always seemed to be disappointed with the overall salon experience (not the hairdresser and cut). Thought I would try again to see if it had improved but have to say I was still disappointed. The massage chair didn’t seem to work properly, it just went up and down my legs not on my back. The person washing my hair was very pleasant but the head massage was pretty short. For the prices charged and as a high end salon, I would expect to feel a little more pampered, Particularly when my budget is tight and my salon visit is regarded as a treat. Can’t fault the hairdresser and cut, very pleased with both. I always receive a genuine greeting, relaxing hair massage and I don’t even look while Gareth styles & cuts my hair as I am never disappointed. Thank you Toni & Guy Guildford for my favourite experience of the month. Tim Avery always sorts out my hair so I look and feel 10 years younger when I leave his Salon in Guildford. Of course I am very old so 10 years is nothing!! She was absolutely superb. Gave me sterling advice on my damaged hair aswell as a great cut. Super hairdresser. Would thoroughly recommend her. I have been coming to this salon for over 20 years and I am always impressed with the amazing level of service - from the reception team as soon as you walk in, to the lady who brings tea and coffee, to the trainees who wash your hair to the amazing stylists and colour technicians. Absolutely awesome team.